Texas is one of the strictest states in the country for drunk driving enforcement. If you are arrested for Driving While Intoxicated (DWI), it’s important to know your rights. 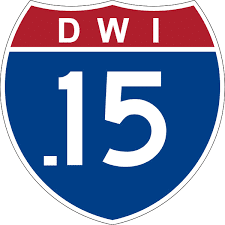 A recent study in WalletHub ranked Texas as the 13th toughest state in the Union on the treatment of people who are charged with DWI. Although some defendants want to get the trauma of a DWI charge behind them, admitting to drunk driving in the hope justice will quickly take its course is not usually the best option. It seems like a no-brainer, but far too many people who are stopped on suspicion of drunk driving panic and admit to being intoxicated. Even if you have been drinking alcohol, you should not tell a police officer you think you may be drunk. You may not have consumed enough alcohol to be impaired. This kind of statement will likely be used in court against you. If a police officer or a state trooper asks how many drinks you have had, politely refuse to answer the question. Also, don’t make any link between alcohol and your driving such as saying you believe your judgment may have been impaired. The less you say the better for your case. Often, people who are under suspicion of a DWI, will be nervous and talk too much to a police officer. Police are very adept at interrogating people to get information from them. The more you say, the more likely you are to incriminate yourself or provide contradictory evidence. Although you should not be defiant and should comply with what a police officer wants you to do, you should decline to answer questions until you have sought legal advice. You should never lie because an untruth may make you appear less reliable in a court hearing. It’s better to invoke your right to silence. However, one thing you should do is ask an officer why you were stopped. A police officer cannot randomly pull you over. If you were not given a reason you should ask for one as this may be crucial to your case. Field sobriety tests such as the walk and talk in which a suspect is asked to walk nine steps heel-to-toe and then to turn around are notoriously unreliable. Tests of this nature are still used by police officers who suspect you of DWI in Texas. Field sobriety tests can benefit a police officer, but are seldom beneficial to the defendant. In some cases, people who have passed breath and blood tests have still been charged with a DWI because an officer has claimed they showed signs of impairments during field sobriety tests. Decline to take part in these tests. When a DWI arrest becomes heated, the defendant will always be the loser. Don’t become aggressive, agitated or obstructive. You could be charged with additional offenses like assault or obstruction of justice. Some people shrug off a DWI charge, believing it’s not serious and don’t seek legal advice. In Texas, even a first DWI can lead to jail time, a fine of $2,000 and the loss of your license. The Texas Department of Transportation claims a DWI can cost an offender as much as $17,000. If you have been charged with DWI, it’s important to act fast. An attorney will help you prepare your case for an Administrative License Revocation Hearing which could help you retain your driver’s license and inform you of your rights. An experienced Dallas DWI defense lawyer will be able to make sure the DWI arrest was conducted correctly.